Many international students dream of staying in Australia after they have completed their studies. While most international students are permitted to come to Australia to study, General Skilled Migration (GSM) is a completely different (and more complicated) process. It is run by the Department of Immigration and Border Protection (DIBP) and is driven by the labour market needs of Australia. GSM approval is dependent on your score in the Points Test, which grants points according to your skills and experience. The fact that you have studied in Australia does not guarantee approval for GSM, but there are a few other ways that you can increase your chances and boost your score in the Points Test. This article contains information for those applying for the Skilled Independent Visa (Subclass 189). You need to have met the Australian Study Requirement. This means you must obtain an Australian qualification in Australia (excluding online or distance study) as a result of at least two years of study (this can be made up by studying multiple courses). You need to be aged between 18 and 49. 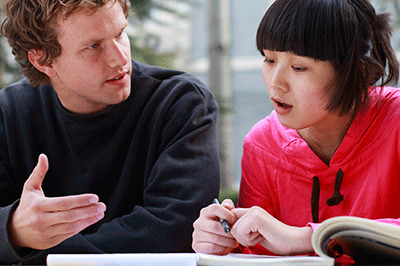 You need to have a minimum IELTS score of 6 (or equivalent in another specified test of English language ability). You need to nominate and hold a skilled assessment for an occupation on the Skilled Occupation List. Migration is dependent on Australia’s employment needs, so completing study in an area that leads to a high-demand field of employment listed on DIBP’s Skilled Occupation List (SOL) — such as health, education, trades or built environment — is essential. Applicants who have been nominated by a state or territory government must nominate an occupation from the Consolidated Sponsored Occupations List (CSOL). Review the list to see if your area of study appears and to check the details of approved skill assessors. More information can be found on the Skilled Occupation Lists page of the DIBP website. Stay in Australia after completing your degree: You can gain more time to develop your English language skills and employment experience in Australia after completing your studies by applying for an 18-month Temporary Graduate Visa (Subclass 485). This will give you an opportunity to boost your score in the Points Test. Climb the qualifications ladder: It might be worth building on your skills and knowledge by progressing to a more advanced qualification — moving on from a diploma to complete a bachelor degree, for example. Diplomas and trade qualifications attract 10 points on the Points Test, while bachelor degrees attract 15 and doctorates attract 20. Develop your English language skills: Applicants deemed as having English language abilities that are ‘Proficient’ (IELTS 7 or equivalent) or ‘Superior’ (IELTS 8) attract more points — 10 points and 20 points respectively. 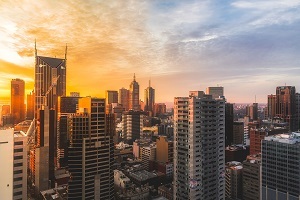 Study in a regional area: Those who have completed their Australian Study Requirement of two years in a regional area are eligible for an additional five points. Those who have lived in a specified regional area for at least two years and have worked full time in that area for a total period of 12 months in a specified regional area of Australia are eligible for a different visa type — the Skilled Regional Visa (Subclass 887). Consider your age: Your age can greatly affect your score in the points test — those aged between 25 and 32 are awarded 30 points, for example, while those aged between 45 and 49 are eligible for none. Gain meaningful employment: The more years of employment experience you have in the occupation you nominate on the SOL, the more points you will be awarded. Consider gaining some meaningful employment in addition to your study or applying for the Temporary Graduate Visa (Subclass 485) to give yourself an opportunity to earn some more employment experience. As little as one year of work experience in Australia can grant you five additional points. Previous employment overseas may also attract points. Complete a Professional Year: A Professional Year Program is a structured professional development program combining formal learning and workplace experience. Those who complete a Professional Year gain valuable Australian workplace experience and are eligible to receive five extra points. Professional Year courses run for 12 months and are currently available in the fields of computer science, accounting and engineering. To be eligible for extra points the course must be undertaken in the applicant’s nominated skilled occupation or a closely related area.